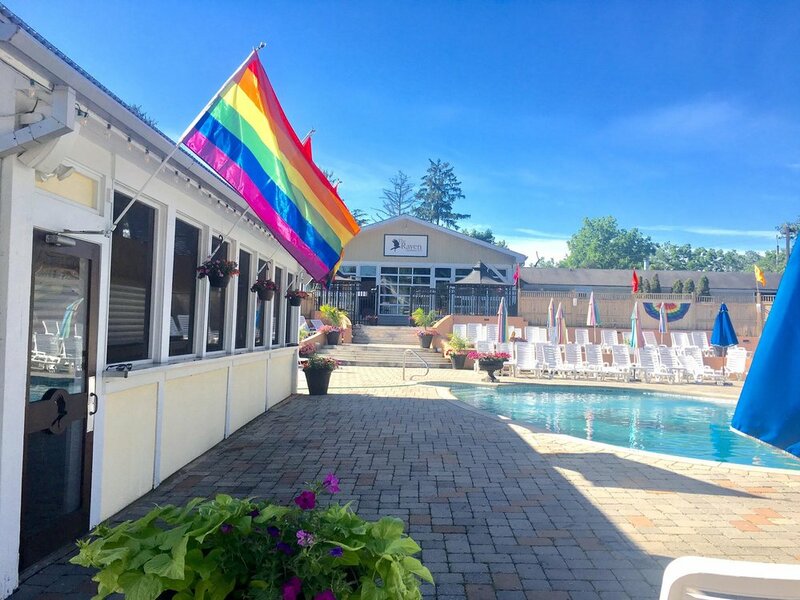 The Pool Club is the place to be seen during the summer in New Hope and even on a warm sunny day in the spring or fall. With 150 lounge chairs surrounding the pool and cabana, this lively atmosphere has contributed to a sense of community for New Hope and its frequent visitors. In addition to frozen drinks, the grill at the cabana bar is famous for its tasty burgers, hot dogs, fries, onion rings and daily selections of specialty wraps and salads. Though traditionally the Raven Pool was only open from Memorial Day to Labor Day, this fun-filled oasis is now bustling from early spring to late fall. During this time, the Raven Pool opens daily at 10am. The Raven Cabana Bar & Grill opens at 11am each day and closes at 8pm (Mon-Fri) and at 10pm on weekends.